Mark Brake / Getty ImagesTesla came close to bankruptcy after Elon Musk became CEO. Elon Musk participated in a Q&A session at South by Southwest on Sunday. During the event, Musk said the “biggest mistake” of his career was not devoting enough time to Tesla during its early days. Musk was the company’s lead investor and chairman from 2004 to 2008, when he took over as CEO. Elon Musk participated in a Q&A session at South by Southwest on Sunday, during which he discussed a wide range topics, including Mars colonization, artificial intelligence, and Kanye West. Toward the end of the event, he talked about the chain of events that lead to the founding of Tesla and his eventual decision to become CEO of the company. At one point, he said the “biggest mistake” of his career was not devoting enough time to the company during its early days, when he was more focused on running his space exploration company, SpaceX. While Musk was Tesla’s lead investor, he didn’t originally take an executive position in the company, instead serving as its chairman from 2004 to 2008 so he could devote more time to running SpaceX and raising his children. But as Tesla faced production delays and cost overruns with its first vehicle, the Roadster, tensions flared between Musk and CEO Martin Eberhard, who was eventually forced out of the company and replaced with Ze-ev Drori, who became the company’s second full-time CEO in November 2007. But as the company neared financial ruin during the 2008 financial crisis, Musk decided he needed to step in and take control. 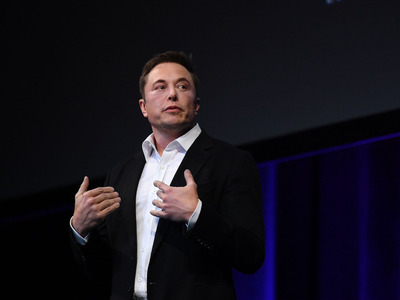 Musk became CEO in October 2008, initiated layoffs, and secured a $US40 million round of financing that would allow the company to avoid bankruptcy. Since then, Tesla has released three more vehicles (the Model S luxury sedan, Model X luxury SUV, and the Model 3 mass-market sedan), expanded into solar energy, and amassed a market capitalisation greater than Ford’s and comparable to General Motors’. And while Musk might insist otherwise, Tesla’s popularity with its customers and investors has allowed it to have its cake and eat it too – encountering production delays with each of its vehicles while continuing to have access to cheap capital. But the fact that Tesla has come this far speaks to the wisdom of Musk’s decision to become CEO, and his ability to turn his greatest professional mistake into one of the past decade’s most improbable success stories.